A few new sets are starting to appear. First there was the Beach Set that came out earlier this year, now there are two more offerings. Remember when LEGO Rock Band came out, I kept saying we needed a set, well this is probably the closest we’ll ever get. They are basically the same as the collectible minifigure versions except with slight color variations and brick built instruments. There’s also a Monster Fighter’s set that is similarly packaged. The both retail at $14.99 USD, and are already available at LEGOLAND California. Most likely they will appear at the LEGO Stores soon. Also available currently at LEGOLAND California and retails for $16.99. 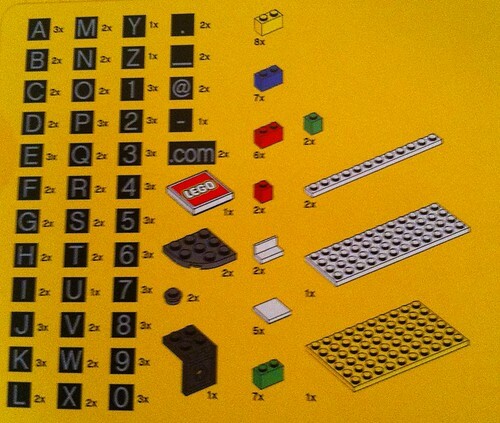 For me the most exciting thing is the return of the letter tiles that were last seen in 2004. I got a whole bunch of the letter tiles then, and I’ll most likely buy a good selection of them now. 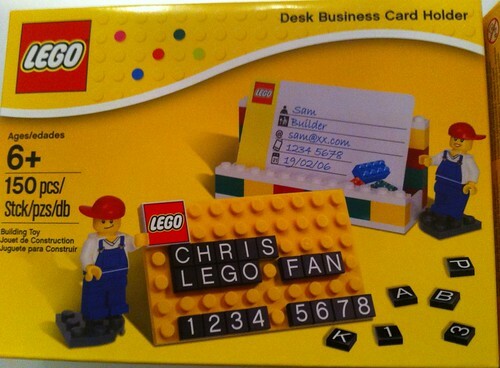 This entry was posted on August 15, 2012 at 2:00 pm and is filed under 2012 LEGO Sets, LEGO, Minifigure, Model Building Secrets, New LEGO Sets. You can follow any responses to this entry through the RSS 2.0 feed. You can leave a response, or trackback from your own site. The Rock Band minifigs are actually very different from their Series counterparts. The Punk Rocker has black pants (prev. sand-blue) and a green mohawk (prev. dark-pink), the Punk Rock Girl has an all B/W outfit (prev. ADU-blue/dark-pink) and black hair (prev. dark-pink), and the Rapper has black pants (prev. sand-blue), silver necklace/front panels on hat (prev. gold), and the Series 2 Disco Stu head (looks unchanged) instead of the regular shutter-shades head that the original Series Rapper came with. Furthermore, no CMF guitars or boombox, though you do get the black/silver mic (prev. black/gold) to go with the Rapper. In the Monster Fighters set, the Zombie has a reddish-brown suit w/ dark-bley tie (colors reversed from the S1 Zombie), but I can’t tell right now if the MF Witch is different from the S2 Witch. Any tips on calling the LEGOLAND California store? I can’t seem to find a direct number. Do they take phone orders the way the other stores will? The business card hold is neat. It add personality to the cards and would fit the theme at a comic convention. I could build one from bricks I have but I don’t have any letter tiles. Next trip to the Lego store will certainly mean coming away with the rocker set and several of those business card sets.